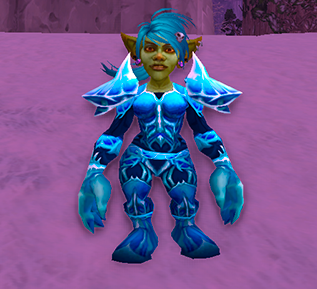 Stone Cold Trixxy is the Winterspring Grand Master, she can be found at 65,64. Her 3 pets are Blizzy, Frostmaw and Tinygos. Shes small but packs the one two punch if your not careful. But we got the medicine for this pint sized pretty. Enter 2 harbingers of doom + your level pet! Blizzy is a flyer. 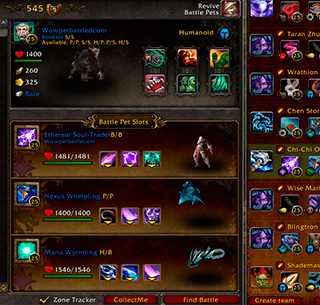 start with your level pet, let the first round resolve, then swap into the harbinger. Set it up with immolate, conflag and burn spam. This birds goose is cooked. Tinygos is a dragonkin, so get to work with the classic immolate conflagerate combo, wrap it up with burn spam if hes still alive. Frostmaw is a beast, and wont last long against your harbingers immolate burn spam. Easily done, a fast 2k of xp for your leveler.